Aston Martin’s Cygnet will break considerable amounts of new ground for the storied sports car manufacturer, but it seems the small city car may also allow the company to build electric vehicles for the very first time. Aston officials have long viewed the Cygnet as means to provide its customer base with an efficient (yet luxurious) runabout, allowing them to revel in the same luxurious splendor found in their “proper” Aston, but without feeding a voracious appetite for fuel. Nixing the combustion engine altogether furthers that ideal, and is quite relevant in Europe, where many cities are opening certain areas and roads only to electric and/or hybrid vehicles. 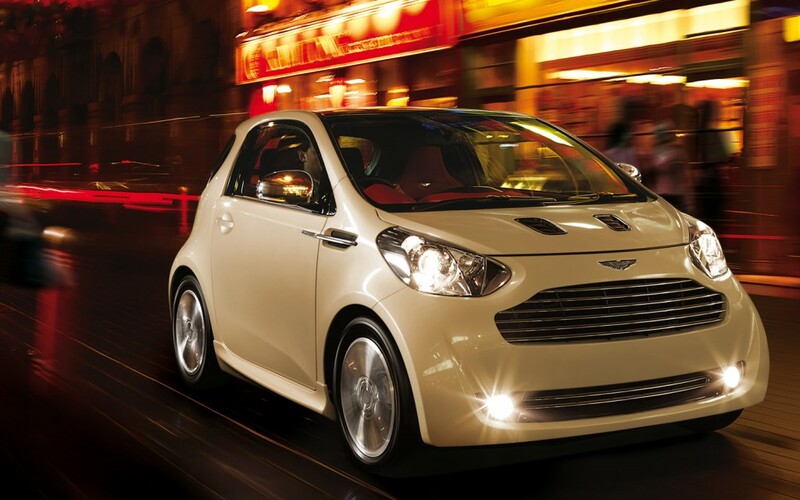 Aston itself will have to do little — if any — extensive engineering to create such a Cygnet concoction. Toyota has long toyed with an electric version of its iQ city car, which in gas powered form, serves as the basis for the regular production Cygnet. A production-ready version of the iQ EV was shown earlier this year at the 2011 Geneva Motor Show. If the Cygnet EV mirrors that car (and it’s quite likely it will), expect the two-door to use a small electric motor to drive the front wheels. Power will be provided by a lithium-ion battery pack sandwiched beneath the Cygnet’s floor. Range should be in the neighborhood of 65 miles per charge — which fits nicely into Aston’s theory of owners using this as an urban runabout and their other Aston (a Vantage, Vanquish, Virage, Rapide, One-77, etc.) for long trips. Perhaps the other unknown is when and how Aston will push the Cygnet EV onto the market. Toyota hopes to establish a leasing program for the iQ EV in Europe later this year, but Aston may prefer a more traditional sales program for its gussied-up variant.